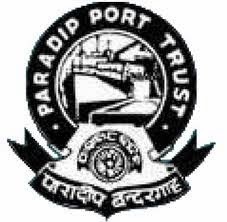 Paradip Port Trust,marine department, odisha invites applications for the walkin interview on 20-08-2014 intends to engage One Radio Operator on contract basis with following terms & conditions: Period of Contract Engagement: Initially for a period of six months from the date of joining and likely to be extended further as per requirement. Qualifications:(a) Passed HSC from a recognized institution. (b) Diploma in Electronics & Telecommunications from a recognized Institution / University. (c) Completed a course on computer familiarization and able to enter data in computer. (d) GMDSS. Accommodation : Shall be provided with accommodation as per availability. Water & Electricity on usual rent / charges as applicable to Port Employees. How to apply: Interested candidates may report for interview on 20.08.2014 at 1100 hours at the following address with original testimonials in support of age, qualifications & experience along with attested copies and two passport size photographs. Candidates working in Government / Semi Government/ Other Major Port / Public Sector Undertaking should bring “ No Objection Certificate”.